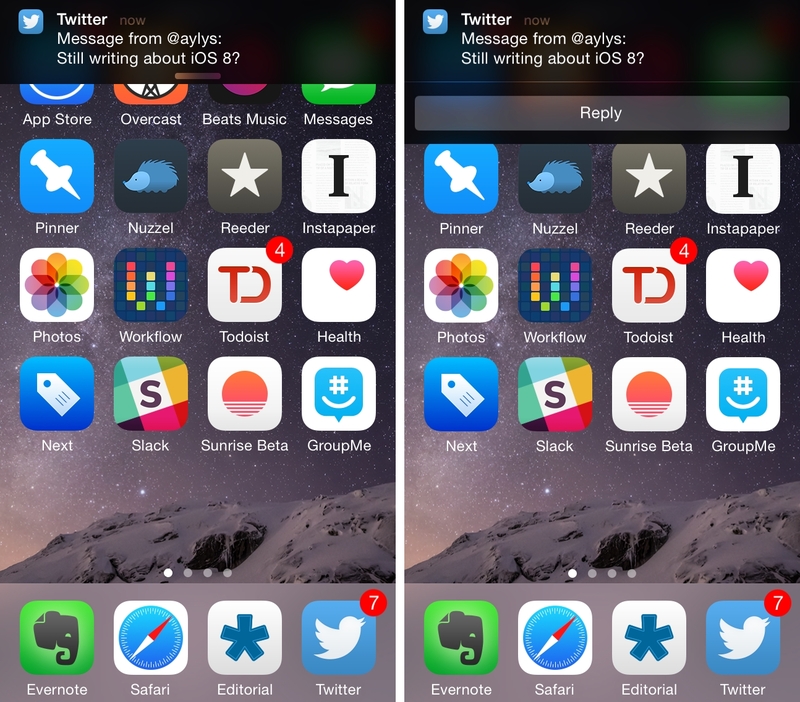 In an update released today, Twitter has introduced redesigned profiles in its iPhone app as well as interactive notifications for users on iOS 8. Profiles have been refreshed with a focus on bio and on making it easier to switch between tweets, photos, and favorites. The change is interesting, as photos and favorites used to be available in a scrollable strip and a tab, respectively; now, Twitter is promoting them to more prominent timelines. You'll be able to switch between these three sections through tabs at the top of a profile, which "snap" to the upper part of the screen as you scroll the timeline. The Twitter blog has a GIF and more screenshots of the change, which is rolling out to everyone on iOS 7 and above. 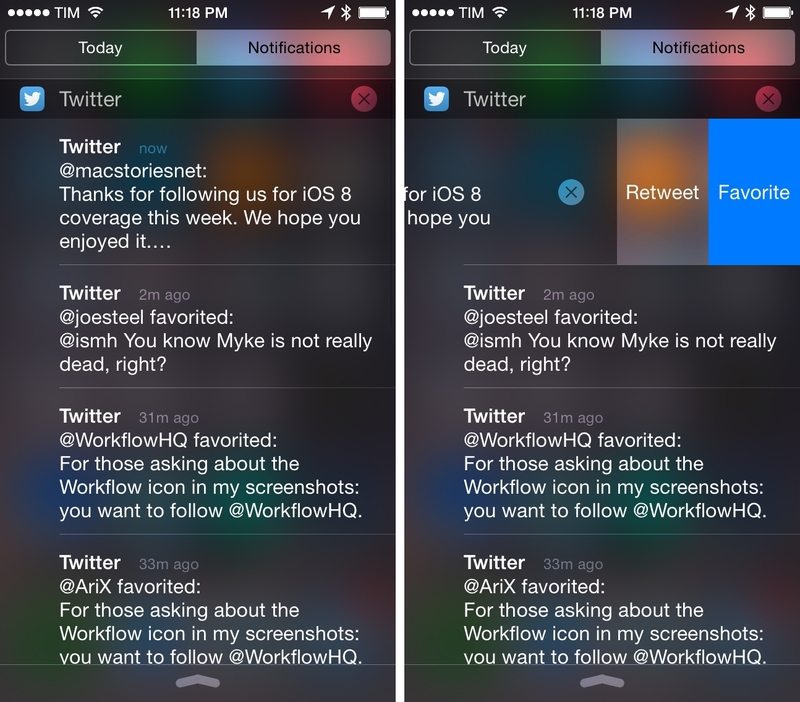 On iOS 8, Twitter has added interactive notifications to "Retweet, favorite, follow and more" directly from the notification banner. In practice, this means that Twitter is extending interactions with tweets beyond the app, making them available by swiping down on a notification anywhere on your iPhone. In my tests, swiping down on a DM notification displayed a Reply button that, when tapped, opened the Twitter app into a reply screen for the just-received DM. As I noted yesterday, third-party apps can't add the quick reply feature found in Apple's Messages app. Still, the addition of buttons to Twitter notifications should make it easier to interact with alerts without launching Twitter at all – especially because Twitter will be able to add custom buttons with actions that aren't simple shortcuts to a tweet or a profile. The updated Twitter app (with redesigned profiles rolling out today) is available on the App Store.